LOS ANGELES (AP) — The Los Angeles Dodgers are once again loaded in their chase for an elusive World Series title. Manager Dave Roberts received a contract extension through 2022 during the winter. He’s guided the team to 287 victories in his first three years at the helm, tied for fourth-most among mangers during that span. The team has averaged 94 wins a season during its run of six straight NL West championships. All that success, however, hasn’t led to a World Series title. The franchise’s last one came in 1988. Two straight appearances in the Fall Classic have ended with Houston and then Boston celebrating on the Dodgers’ field. NEW FACES: CF A.J. Pollock signed a $55 million, four-year deal to leave division rival Arizona. He gives the Dodgers a right-handed bat to complement their deep lineup. He missed nearly two months with a broken left thumb last season, the latest in a long line of injuries that have limited Pollock to 113 games since his breakout All-Star season in 2015. RH reliever Joe Kelly comes over from the Red Sox after they beat the Dodgers in the World Series. He’ll be Kenley Jansen’s setup man. TOP-NOTCH ROTATION: The Dodgers boast quality and depth in their pitching ranks, which will allow them to withstand any injuries that occur. LH Clayton Kershaw won’t start opening day for the first time in nine years because of left shoulder inflammation that bothered him during camp. Kershaw’s velocity dipped to an average of 90.9 mph last season and his strikeout rate of 8.7 per nine innings was his lowest since his rookie year. Despite back problems in recent years, he remains one of the best pitchers in the National League. RH Walker Buehler, coming off a stellar rookie year, has had a sore shoulder that limited him in camp. RH Kenta Maeda started 20 games last year, but finished the season as a reliever and worked out of the bullpen during the postseason. 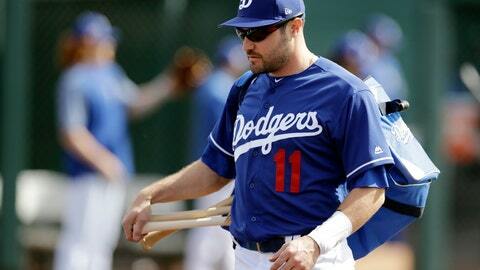 However, the Dodgers see him as a starter and plan to use him in that role to begin the season. LH Hyun-Jin Ryu and LH Rich Mill make up a solid backend of the rotation.